I love feet. As a bodyworker, I find them amazing structures that support us all day as well as great vehicles for bringing complete relaxation to a client’s whole being. They were everywhere in Roman art! 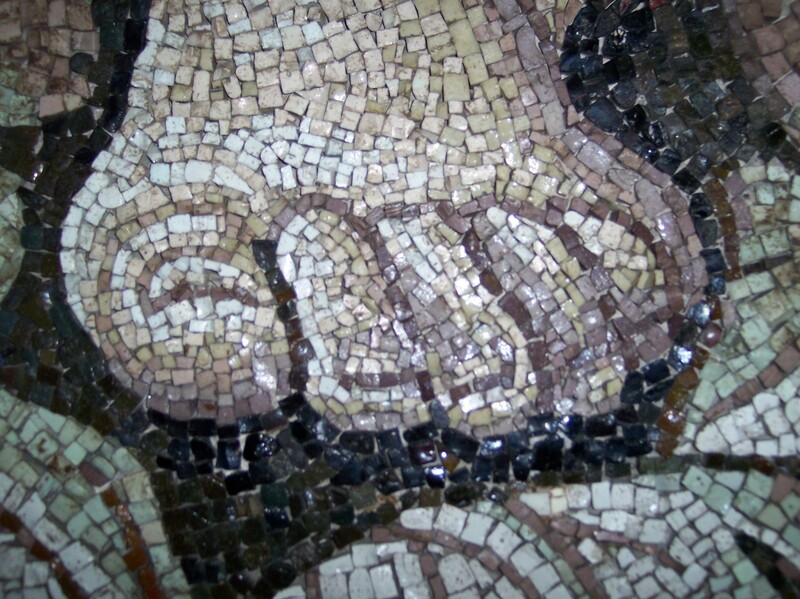 Above is an enormous mosaic foot in the dome of St. Peter’s Basilica. The span across it has to be 4 feet! These are two fragments from gigantic sculptures of Constantine. 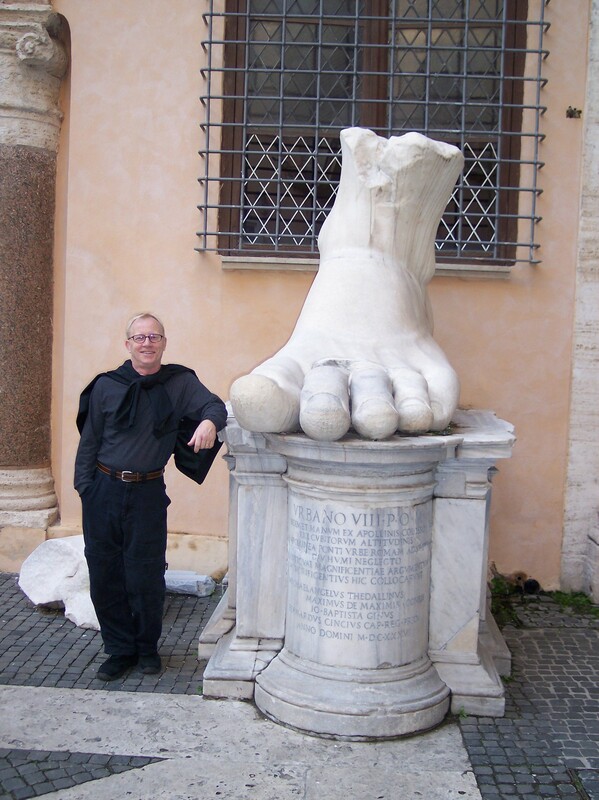 The marble foot with Bill on the left is the famous one that Janet Travell M.D. was photographed with in the 1950s. She pointed out the Morton’s toe on it (2nd toe longer than great toe). 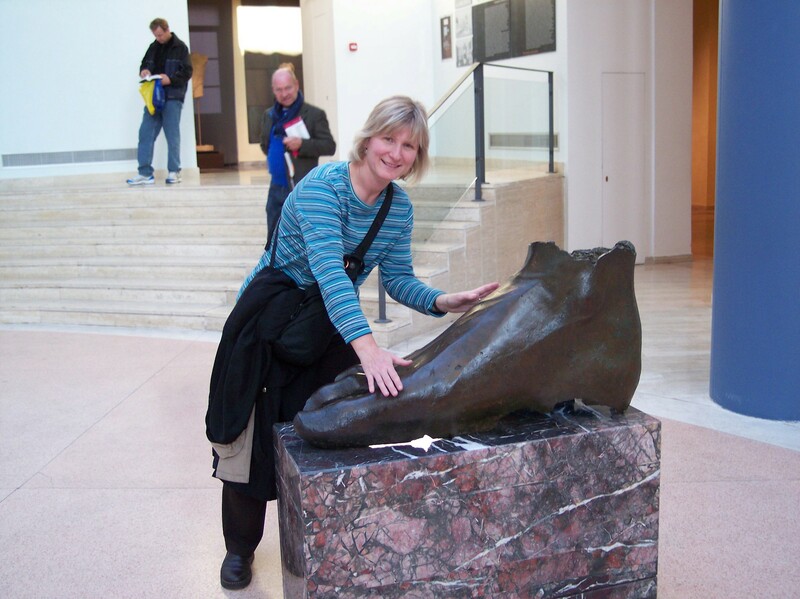 I was watched very closely with that bronze foot. Although it looks like I’m massaging it, I am careful not to touch it because the guards would have my head! 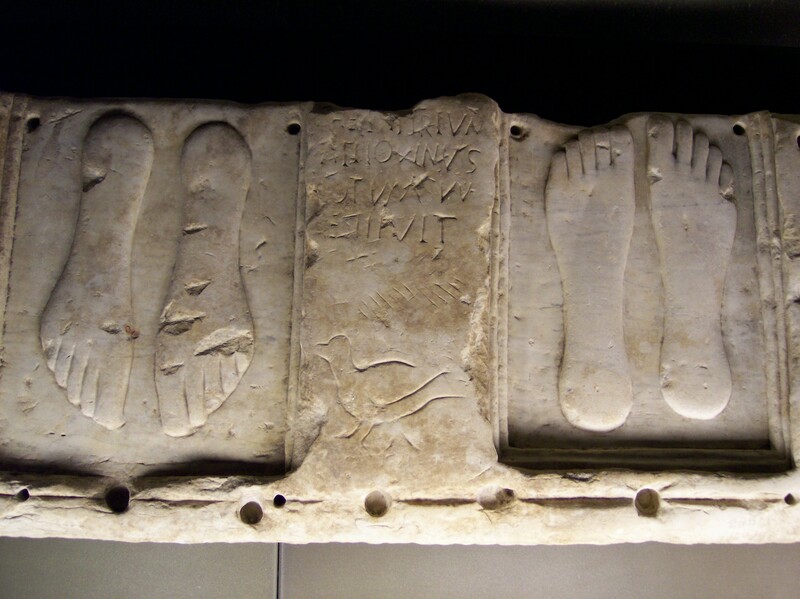 These are some very cool ancient stone carvings of feet. I don’t think anyone understands why they were made but it’s clear that feet have been fascinating for a long time!